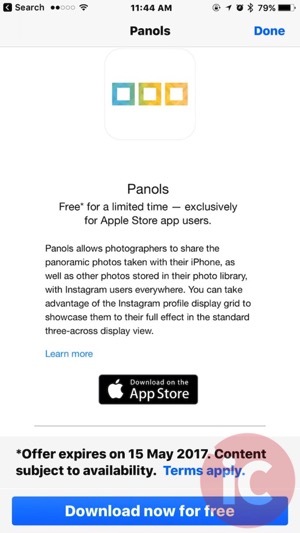 The Apple Store iOS app, which lets you purchase products, currently has a new app freebie available to redeem called Panols ($1.99 USD), which lets you post panoramic photos to Instagram, taking advantage of the profile display grid. 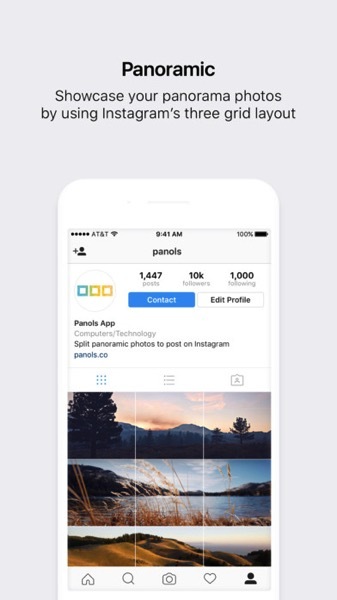 How to get Panols for free? First, download and install the Apple Store iOS app. 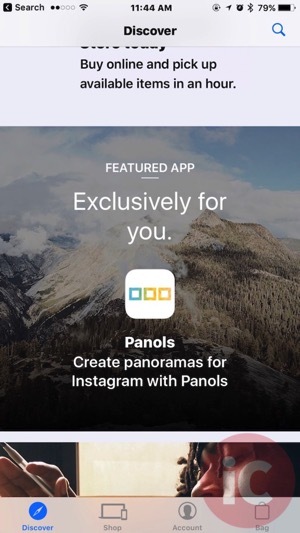 Scroll down on the main page until you see the ‘Featured App’ section and tap it. From there, just tap on “Download now for free”, and a promo code will automatically populate for you to redeem.